since we’ve moved to baltimore, our front yard is the sidewalk and our back yard is the size of a matchbox. it’s a big difference from the huge back yard mochi used to have for running and playing in west virginia. we go on lots of daily walks through our neighborhood, but trotting along on concrete just doesn’t have all those doggy stimulants mochi needs. plus, he tries to pee on everyone’s front steps. i mean everyone’s. no stoop left behind. so, we’ve gotten into hiking. 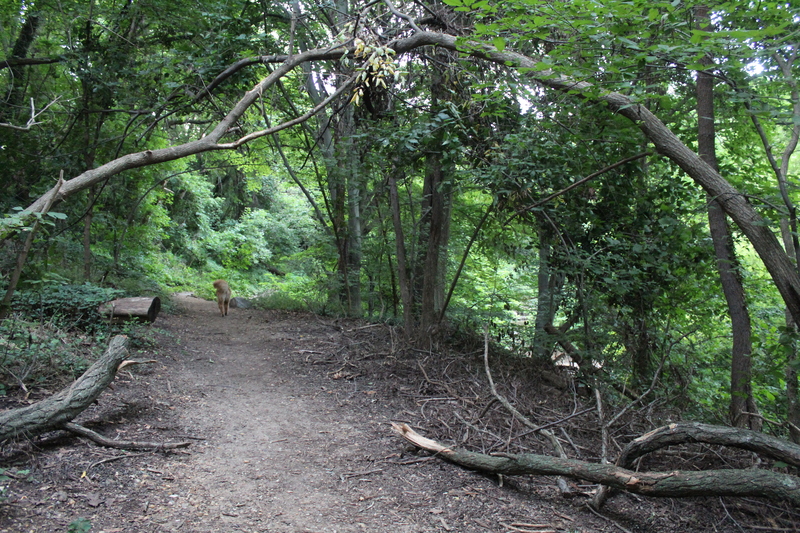 it took a couple weeks to find it, but just a short walk from our new home, we’ve found the perfect trail for the dog — and it’s a workout for us, too. 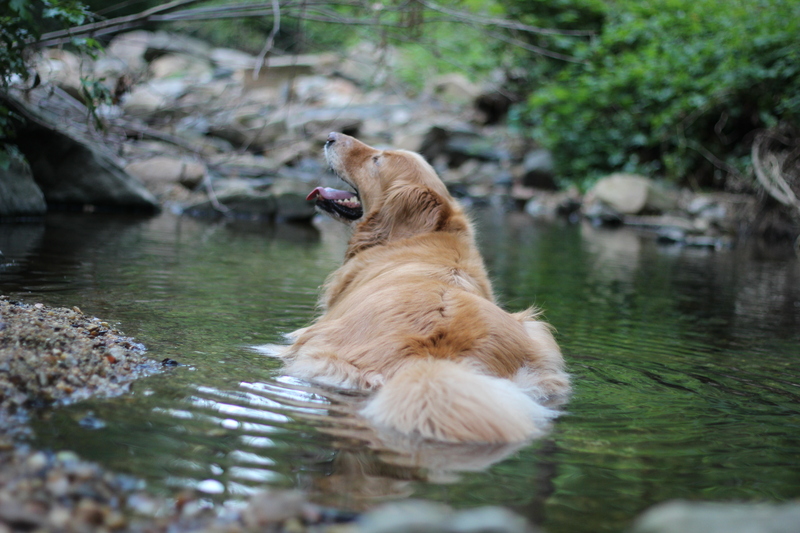 after just one run on the trail, mochi had already memorized the path to take to get down to the water. 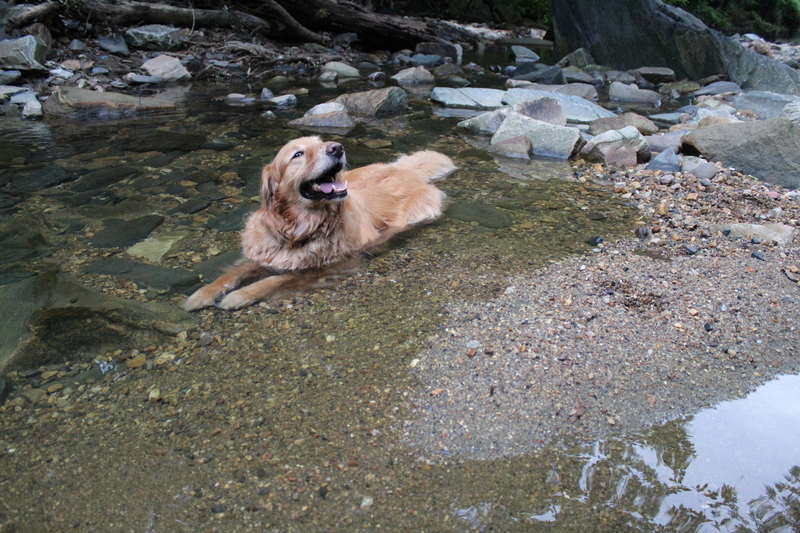 he runs right to the stream, then just lays down. it’s pretty cute. 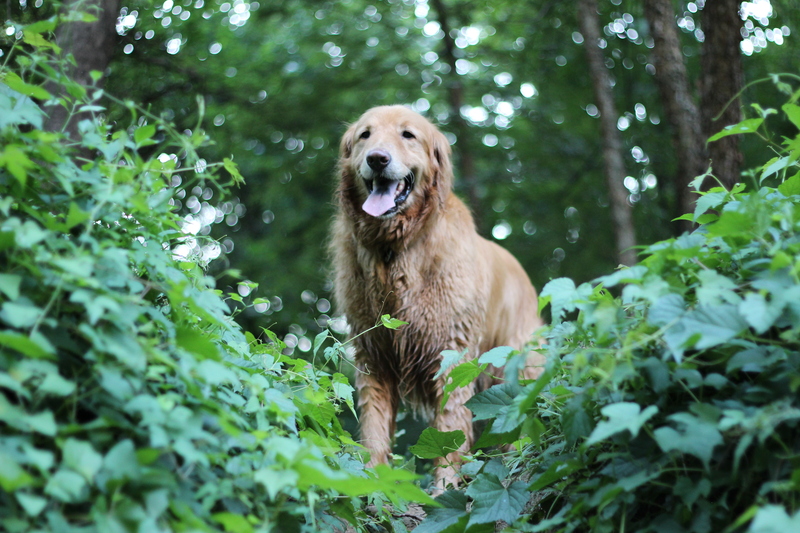 he must get pretty hot under all that golden retriever hair. every time we’re here, we just can’t help but be so amazed that something like this exists in the middle of the city. neither of us had spent much time in baltimore before moving, so we didn’t really know what to expect. we were thinking mostly city, some manmade parks… but this is so perfect. makes us love this place even more.